Robert Michael Aubrey (born April 15, 1982) is a former American baseball player. He previously played for the Cleveland Indians and Baltimore Orioles. Tulane University is a private, nonsectarian research university in New Orleans, Louisiana, United States. It is the top university and the most selective institution of higher education in the state of Louisiana. The school is known to attract a geographically diverse student body, with 85 percent of undergraduate students coming from over 300 miles away. 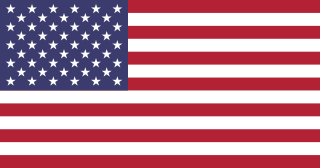 The United States national baseball team is the national baseball team of the United States in international-level baseball competitions. The team is currently ranked 2nd in the world by the World Baseball Softball Confederation. 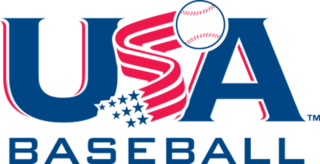 Team USA won the Olympic baseball tournament in 2000 and the World Baseball Classic in 2017. Conference USA is a collegiate athletic conference whose current member institutions are located within the Southern United States. The conference participates in the NCAA's Division I in all sports. C-USA's offices are located in Dallas, Texas. Allegheny County Fairgrounds located in South Park in South Park Township, Allegheny County, Pennsylvania, was acquired and designed for use in 1927 by the Allegheny County Department of Parks. Beginning in 1932, this was the location of the Allegheny County Fair. It was added to the List of Pittsburgh History and Landmarks Foundation Historic Landmarks in 2009. The University of Akron is a public research university in Akron, Ohio, United States. The university is part of the University System of Ohio. As a STEM-focused institution, it focuses on industries such as polymers, advanced materials, and engineering. The 2008 Major League Baseball season began on March 25, 2008, in Tokyo, Japan with the 2007 World Series champion Boston Red Sox defeating the Oakland Athletics at the Tokyo Dome 6–5 in the first game of a two-game series, and ended on September 30 with the host Chicago White Sox defeating the Minnesota Twins in a one-game playoff to win the AL Central division. The Civil Rights Game, an exhibition, in Memphis, Tennessee, took place March 29 when the New York Mets beat the Chicago White Sox, 3–2. In baseball statistics, a hit, also called a base hit, is credited to a batter when the batter safely reaches first base after hitting the ball into fair territory, without the benefit of an error or a fielder's choice. Christopher Cory Gomez is a former Major League Baseball infielder. He bats and throws right-handed. José Antonio Hernández Figueroa is a Major League Baseball coach and a former Major League Baseball infielder. Eric James Byrnes, is a baseball analyst and former Major League Baseball outfielder. He has played for the Oakland Athletics, the Colorado Rockies, the Baltimore Orioles, the Arizona Diamondbacks, and the Seattle Mariners. He retired from playing in 2010 and is now an analyst for MLB Network. Félix Pie Dofen is a Dominican professional baseball outfielder for the Bravos de León of the Mexican League. He has previously played in Major League Baseball (MLB) for the Chicago Cubs, Baltimore Orioles, and Pittsburgh Pirates. Pie has also played for the Hanwha Eagles of the KBO League and for the Uni-President 7-Eleven Lions of the Chinese Professional Baseball League (CPBL). Alonza Benjamin "Al" Bumbry is a former Major League Baseball (MLB) outfielder who played for the Baltimore Orioles and San Diego Padres from 1972 through 1985. Bumbry was the 1973 American League Rookie of the Year, and went on to be an All-Star and World Series champion. He is an inductee of the Baltimore Orioles Hall of Fame and the Virginia Sports Hall of Fame. Prior to his major league career, Bumbry served in the US Army during the Vietnam War and was awarded a Bronze Star. Luke Brandon Scott is an American former professional baseball designated hitter and left fielder. He played in Major League Baseball (MLB) for the Houston Astros, Baltimore Orioles, and Tampa Bay Rays, and in the Korea Baseball Organization for the SK Wyverns. Mark David Lewis is an American former professional baseball infielder, who played in Major League Baseball (MLB) for the Cleveland Indians, Cincinnati Reds, Detroit Tigers, San Francisco Giants, Philadelphia Phillies, and Baltimore Orioles. Christopher Michael Carp is an American former professional baseball first baseman and left fielder. He played in Major League Baseball (MLB) for the Seattle Mariners, Boston Red Sox and Texas Rangers. Randy Radames Ruiz is a professional baseball designated hitter and first baseman who is currently a free agent. He stands 6'1" and weighs 240 pounds. Born in The Bronx, New York to parents from Santurce, Puerto Rico, he attended James Monroe High School, and played baseball under coach Mike Turo. He then attended Bellevue University in Bellevue, Nebraska, where he played college level baseball. Ruiz was drafted in round 36 of the 1996 draft. Keith A. Reed is a former Major League Baseball outfielder for the Baltimore Orioles. Nolan Gallagher Reimold is an American former professional baseball outfielder and designated hitter. He played in Major League Baseball (MLB) for the Baltimore Orioles, Toronto Blue Jays, and Arizona Diamondbacks. Howard Glenn Moss was an American professional baseball player, an outfielder and third baseman who was a prodigious home run hitter in minor league baseball but who struggled in three Major League trials during the 1940s. Listed at 5 feet, 11​1⁄2 inches tall and 185 pounds (84 kg), Moss batted and threw right-handed. 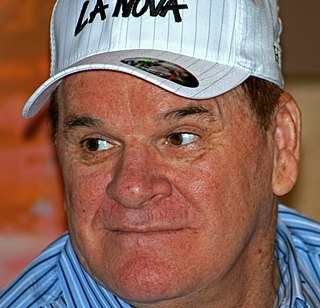 He was born in Gastonia, North Carolina. Barry Stevan Shetrone was an American professional baseball player. An outfielder, he appeared in parts of five seasons (1959–1963) in Major League Baseball for the Baltimore Orioles and Washington Senators. He batted left-handed, threw right-handed, stood 6 feet 2 inches (1.88 m) tall and weighed 190 pounds (86 kg). Matthew Reese Carson is an American former professional baseball outfielder. He is 6 feet 2 inches (1.88 m) and weighs 200 pounds (91 kg). He has played in Major League Baseball (MLB) for the Oakland Athletics, Minnesota Twins and Cleveland Indians. Pedro Alexander Florimón Jr. is a Dominican professional baseball shortstop in the Atlanta Braves organization. Florimón was signed by the Baltimore Orioles as a non-drafted free agent in 2004. He made his MLB debut in 2011. He previously played for the Orioles, Minnesota Twins, Pittsburgh Pirates, and Philadelphia Phillies. Ryan Edward Flaherty is an American professional baseball infielder in the Cleveland Indians organization. He has played in Major League Baseball (MLB) for the Baltimore Orioles from 2012 through 2017 and the Atlanta Braves in 2018. Flaherty is a utility player, having played every position except for center field and catcher. Russell Michael Canzler is an American former professional baseball third baseman. He has played in Major League Baseball (MLB) for the Tampa Bay Rays and Cleveland Indians. Samuel Parrilla Monges, was a Puerto Rican professional baseball left fielder and pinch hitter, who played in Major League Baseball (MLB) for the Philadelphia Phillies, in 1970. He played in Minor League Baseball (MiLB) from 1963 to 1972. Anthony Roger Santander is a Venezuelan professional baseball outfielder for the Baltimore Orioles of Major League Baseball (MLB). ↑ "Michael Aubrey". tulanegreenwave.cstv.com. Retrieved 2007-05-08. ↑ Cleveland Indians: Media Guide 2007 (PDF). MLB Advanced Media. pp. pg. 77 . Retrieved 2007-05-08.